I was recently told that Dr. Terrance Tiessen, professor emeritus of Systematic Theology and Ethics at Providence Theological Seminary, once indicated that he was nearly convinced of conditional immortality, but not quite. Two years having passed since then, I wondered if perhaps Dr. Tiessen had become fully persuaded, and so I emailed him. Although he responded saying he remains persuaded of the traditional view of hell, his response was gracious and respectful, and what he wrote in a blog post shortly thereafter is deserving of not only a response but equally our thanks. I had an interesting invitation today from Chris Date, who blogs at Rethinking Hell. He asked if they could interview me for a podcast, and if I would be willing to write an endorsement for their web site. I declined on the first request but acceded to the second. They have done a very fine bit of web page development, and they are offering a good resource for people wanting to examine what Scripture has to say about the final judgment of God’s enemies. So, should we rethink hell? If, by “rethink” we mean “think again” about it, then the answer is definitely yes. I don’t suggest, however, that there is anything seriously wrong with the traditional (eternal conscious punishment) view, requiring that it be rethought with the intention of revision. One does not need to have doubts about the position one holds, to seriously reconsider its truthfulness. Given that we are all fallible, we do well to be continually thinking again about the things we believe. Sometimes, when we study someone else’s reading of Scripture, which differs from ours, we end up believing exactly what we did before we started, but sometimes we change our minds – perhaps more than once, on a given subject. I think Dr. Tiessen put it quite well, and we at Rethinking Hell are open to the possibility that we are wrong, even if some of us possess little doubt about the truthfulness of conditionalism. We also think that open and respectful dialogue amongst evangelicals is an excellent means for discovering whether or not we are in fact wrong. We have been disappointed by the unwillingness of some critics of conditionalism to exhibit the same attitude, which makes Dr. Tiessen’s attitude refreshing. I continue to believe that hell is eternal conscious punishment, but I am no less impressed with the quality of the exegetical work done by annihilationists, in particular by Edward Fudge in The Fire that Consumes. Unlike the dismissive criticisms of Fudge’s work offered too often by traditionalists, Dr. Tiessen recognizes its quality, even if he doesn’t find it sufficiently persuasive to change his mind. I am certain that Fudge is no less thankful for the compliment than I am impressed by Dr. Tiessen for extending it. Whether or not one agrees with Fudge in the end, one can acknowledge the quality of his work, as Dr. Tiessen does. Given the request I received today, I thought it might be timely for me to post my summary of the traditionalist critique of ultimate annihilationism, as published in the article on “Hell,” in the Global Dictionary of Christian Theology. I still find this critique persuasive, even though I acknowledge the force of the case for ultimate annihilationism, and I do not consider it to be a dangerous doctrine, as many fellow evangelicals do. Of course, it is not the final sentiment in that paragraph that warrants some criticism. Quite the contrary, we are so accustomed to hearing traditionalists warn of how dangerous our view is that Dr. Tiessen’s sentiment is quite refreshing and appreciated. No, it is the critique he goes on to reproduce that, despite being persuasive to Dr. Tiessen, I find very unpersuasive and deserving of a critique of our own. (1) Many contemporary believers in eternal conscious punishment do not accept the Platonic view that souls are inherently immortal; they acknowledge that creatures exist only because God sustains them and that God can destroy both body and soul, but they insist that Scripture teaches the endless punishment of the wicked. The continued existence of condemned sinners is not the “life” which God gives only to those who are reconciled with him, but that does not mean that the wicked are annihilated. Conditionalists do not argue that contemporary traditionalists consciously base their belief in eternal torment upon the notion that souls are inherently immortal. Rather, some conditionalists contend (rightly or wrongly) that Platonism influenced early Christians who read what Scripture has to say about final punishment through the lens of Platonism’s immortality of the soul,1Edward Fudge, The Fire That Consumes, 3rd ed. (Cascade, 2011), 263. and that subsequent generations took the immortality of the soul for granted for many centuries.2Ibid., 287-88. It is true, however, that modern traditionalists often do not do so, instead basing their belief in the immortality of all human beings on texts which they think teach that the unsaved will live forever in hell.3Robert A. Peterson and Edward W. Fudge, Two Views of Hell: A Biblical & Theological Dialogue (Intervarsity, 2010), Kindle Edition, 88-89. Nevertheless, it is possible that the way early Christian philosophers understood those texts, having been biased by Platonism and which went on to be repeated for centuries, influences the way traditionalists read them today. For example, consider the impact made by fourth century philosopher Augustine upon subsequent Christian thought. According to Henry Chadwick, “The ‘few changes’ Augustine wishes to bring to Platonism are not as modest as the serene apologetic of The City of God would have the reader think … [He] accepts that the soul is immortal, not that it is coeternal with God himself and of the same substance as its Creator.”4H. Chadwick, Augustine of Hippo: A Life (Oxford University, 2010), 134. Earle Ellis explains that it is upon the basis of this Platonic presupposition that “Augustine, appealing largely to Matthew 25:41-46 … argues that the destiny of the wicked is an everlasting process of suffering of both body and soul.”5E. Earle Ellis, “New Testament teaching on hell,” in Kent Brower and Mark Elliot (Eds. ), Eschatology in Bible and Theology: Evangelical Essays at the Dawn of a New Millennium (InterVarsity, 1999), 201. With that in mind, consider Augustine’s argument from Matthew 25:41-46, alleged by Ellis to have been influenced by his Platonism. He wrote, “What a fond fancy is it to suppose that eternal punishment means long continued punishment, while eternal life means life without end, since Christ in the very same passage [Matthew 25:46] spoke of both in similar terms in one and the same sentence. "6Augustine, The City of God (2011-10-04), enhanced Kindle edition, 17030-17032. Sixteen hundred years later, Eldon Woodcock, citing Augustine’s words, reasoned nearly identically that “Matthew 25:46 consists of two statements that are parallel to each other … That each of the two lines uses ‘eternal’ indicates that it will have the same meaning in both lines. Thus, if eternal life is everlasting, then eternal punishment will be the same. "7Eldon Woodcock, Hell: An Exhaustive Look at a Burning Issue (WestBowPress, 2012), Kindle edition, 4986-4992. And many other modern traditionalists make the same basic argument from this passage. Assuming that Chadwick and Ellis are correct, one can readily see how plausible it is that Platonism has shaped Christian reasoning concerning the nature of final punishment, even the reasoning of theologians today who are not themselves Platonists. If Augustine’s argument from Matthew 25:41-46 was influenced by Platonism, then even if Woodcock and other traditionalists who have been influenced by Augustine’s reasoning do not themselves believe in the soul’s inherent immortality, the way they read the text may nevertheless be unknowingly influenced by Platonism. And Augustine’s influence extends far beyond this one specific passage. As Fudge points out, Augustine’s impact is quite far reaching:8Fudge, The Fire That Consumes, 296. Augustine’s influence extended to medieval scholasticism, to Calvin and Reformed Protestantism, and to Tridentine Roman Catholicism alike. Indeed, from his time forward, one would be hard pressed to find a major break between Augustinian thinking and the teaching of the magisterial churches of the Reformation or of the post-Reformation Roman Catholic Church. In any case, just what does the Bible say about man’s immortality—or lack thereof? In the beginning, God sent Adam and Eve out of the garden so that they will not have access to the tree of life and live forever (Genesis 3:22-23), so at least since the fall man is not immortal. In what may be the most famous verse in Scripture, we’re told that "whoever believes in him shall not perish, but have eternal life" (John 3:16), implying that those who do not believe in Jesus will perish and won’t live forever. A few verses later it is not just implied but explicitly stated: "He who believes in the Son has eternal life; but he who does not obey the Son will not see life" (John 3:36). The very text cited by Augustine and Woodcock limits eternal life to the righteous, requiring that the unsaved will not live forever. It is no wonder, then, that the Scriptures indicate that what sinners deserve is death. Paul tells the Romans that "those who practice [things which are not proper] are worthy of death" (Romans 1:32), that "the outcome of those things is death" (6:21), and that whereas eternal life is a gift, "the wages of sin is death" (6:23). In the apocalyptic imagery of Revelation the tree of life which would have kept Adam and Eve alive forever is available only to servants of the Lamb (Revelation 22:2), and both John and God himself interpret the perplexing vision as symbolizing "the second death" of those who have risen from their first death (Revelation 20:14, 21:8), indicating that they will die again. And just what was the punishment Jesus bore on behalf of his people, which therefore awaits those who are not his? It was primarily his death; as Paul says it is "of first importance" (1 Corinthians 15:3), a physical death such that he was "put to death in the flesh" (1 Peter 3:18). The Bible, then, does not simply say that a certain kind of life will be given only to those who are reconciled with him, and withheld from everyone else. No, it says the unredeemed will not live at all. (2) Scripture speaks of the punishment of the wicked as being of the same duration as the blessing of the righteous, i.e., eternal (aionios), or forever and ever (Is 33:14; 66:24; Jer 17:4; Mt 18:8; 25:41,46; Mk 9:43-48; 2 Thess 1:9; Jude 7; Rev 14:11; 20:10), and nothing in the context of these passages indicates that the word “eternal” has a different meaning in the two cases. , June 19, 2012. http://www.rethinkinghell.com/2012/06/eternal-punishment-and-the-polysemy-of-deverbal-nouns/ While the duration of corporal punishment, for example, is measured in the duration of the pain inflicted, the duration of capital punishment is instead measured in the time during which one is not alive. And so the fact that Scripture teaches that the punishment of the wicked and the bliss of the righteous will be of equal and eternal duration does not rule out annihilation as that eternal punishment. As for the texts Dr. Tiessen cites in support of this point, I have said for some time now that what has convinced me most of the truthfulness of conditional immortality is that with virtually no exception, every proof-text typically pointed to by traditionalists proves upon further examination to be better support for the annihilation of the risen wicked than for their eternal torment. The texts Dr. Tiessen cites in this portion of his critique are no exception. Isaiah 33:14 rhetorically asks, "Who among us can live with the consuming fire? Who among us can live with continual [or everlasting] burning?" One of two answers may be implied, either of which is devastating to the traditional interpretation. One possibility is that no one can, the "continual burning" being something to which only the wicked are subjected. The other possibility is that only those who are described in the following verse as walking righteously can dwell in the "continual burning" that is the holiness of God himself, the quintessential consuming fire (Deuteronomy 4:24; Hebrews 12:29). Either way, the implication is that no wicked person can live with the consuming, everlasting fire that consumes chaff, stubble, and thorns (verses 11-12). As Fudge explains, "Some traditionalists have interpreted verse 14 as referring to unending conscious torment, but the entire context argues otherwise. Verses 11-12 picture total destruction by fire. This fire consumes, which is why no wicked person can ‘dwell’ with it. "10Fudge, The Fire That Consumes, 74. No unredeemed sinner will survive God’s ever-burning anger, of which we also read in Jeremiah 17:4. That’s exactly what we conditionalists affirm, whereas traditionalists posit that the unsaved will live in the everlasting fire for eternity. , July 17, 2012. http://www.rethinkinghell.com/2012/07/their-worm-does-not-die-annihilation-and-mark-948/ Far from challenging conditionalism, this text is strong support for it. Similar to Isaiah 33:14 and Jeremiah 17:4, Matthew 18:8 refers to "eternal fire," but gives no indication that the unsaved will suffer in that fire for eternity. Quite the contrary, in verse 9 Jesus calls it Gehenna, which is the Greek transliteration of the Hebrew “valley of [the sons of] Hinnom,” also known as Topheth, which was once a place where idol worshippers burned children as sacrifices to their gods. But Jeremiah 7:32 says that Gehenna would become “the valley of slaughter … The dead bodies of this people will be food for the birds of the sky and for the beasts of the earth; and no one will frighten them away.” Isaiah 30:33 speaks of God’s fiery vengeance upon Gehenna, likening it to a funeral pyre, which is a pile of wood for burning up corpses. Jude verse 7 uses the phrase "eternal fire" to describe the fire which came down from heaven and destroyed Sodom and Gomorrah. Thus, eternal fire is not fire in which the lost will consciously burn for eternity, but the eternal and consuming fire from God that completely destroys. The phrase "eternal fire" is also used in the subsequent text Dr. Tiessen cites, Matthew 25:41 and 46. Again, the meaning of "eternal punishment" in verse 46 is ambiguous in and of itself, between a punishment whose duration is measured in its process and one whose duration is measured in its effect. When "eternal" (aionios) describes other "nouns of action" like punishment, such as "eternal salvation" (Hebrews 5:9) and "eternal redemption" (Hebrews 9:12), the noun’s duration is often measured in its effect. “Eternal fire” in verse 41 resolves the ambiguity, confirming that "eternal punishment" is likewise measured in its effect: the result of being completely destroyed, never to live again. Like "eternal punishment" already mentioned, "eternal destruction" in 2 Thessalonians 1:9 is ambiguous by itself, and its duration may be measured in its process or its effect. But consider that in the preceding verse—or verses, depending on the translation—Paul says Jesus will be revealed "in flaming fire, inflicting vengeance." As traditionalist G. K. Beale points out, "Isaiah 66:15 [is] the only place in the Old Testament where this combination of terms is found,"13G. K. Beale, “1–2 Thessalonians,” in The IVP New Testament Commentary Series (IVP Academic, 2010). 189. and both passages talk about God rendering recompense to the saints’ oppressors. As we’ve seen, Isaiah 66 ends with a picture of God having violently slain his enemies, reducing them to rotting, smoldering corpses. This tells us, then, that the duration of "eternal destruction" is measured in its effect: the everlasting effect of being destroyed and rendered lifeless. Revelation 14:9-11 does superficially sound rather like the traditional view, but we must take care in interpreting the vivid imagery. In the imagery of chapter 18 the harlot Mystery Babylon is tormented as well (Revelation 18:7, 10, 15), but as for the city which she represents the interpreting angel has this to say in verse 21: “Babylon, the great city, [will] be thrown down with violence, and will not be found any longer.” And at the beginning of the next chapter, smoke rises forever from the harlot, just like it does from the beast-worshippers of chapter 14. So the imagery of smoke rising forever from the torment of the harlot symbolizes the permanent destruction of the city the harlot represents. The imagery in Revelation 20:10 depicts the devil, beast, and false prophet “tormented day and night forever and ever”—the latter two having begun their torment a thousand years earlier—after which unbelievers are raised and thrown into the fire. We’ve already seen how Revelation uses the imagery of the harlot’s torment to communicate the permanent destruction of the city she represents. The eternal torment of the devil, beast and false prophet is likewise symbolism communicating their permanent destruction. This is why the beast is observed being thrown into the fire. John’s readers would have immediately recognized it as the fourth beast of Daniel 7 with characteristics of the previous three beasts, imagery foretelling the same events as Nebuchadnezzar’s dream of the statue in Daniel 2. Taken at face value the images contradict one another. The statue is shattered to pieces. Daniel’s beast is killed and its body destroyed in a river of fire, while John’s beast is thrown alive into a lake of fire and tormented eternally. But for Daniel’s visions the angel interprets the fate of the beast or the statue as communicating the permanent end to the dominion of the kingdom it represents, succeeded by the kingdom of the reigning saints—a kingdom which John also sees, immediately after the beast is thrown into the fire, further supporting that the same events are being foretold in the imagery. John also sees death and Hades thrown into the fire. Yet death and Hades are abstractions, incapable in reality of being tormented to begin with. And if we suppose that they aren’t tormented because John does not mention their torment, then we must also suppose that the risen wicked aren’t tormented and for the same reason. But these abstractions, death and Hades, can and will come to an end. There’s a reason we call it the intermediate state. And in 1 Corinthians 15 Paul says death will be abolished, a word meaning “to make completely ineffectual.” Death is rendered ineffectual insofar as no one will experience it ever again; it cannot continue to exist powerlessly, having thus come to an end. The lake of fire can be treated consistently within Revelation and Daniel only if we accept that eternal torment in the imagery symbolizes a permanent end in reality. Death and Hades come to a permanent end. The beast’s dominion comes to a permanent end. Consistent application of the imagery demands that the same be true of the devil and the risen wicked: they likewise come to a permanent end. And this really should come as no surprise, since both John and God himself interpret the lake of fire imagery for us in Revelation 20:14 and 21:8, respectively. We are told that it symbolizes “the second death.” Whereas the first death is temporary, insofar as it is reversed in resurrection, the second death is permanent. (3) In response to the charge that endless punishment would be an infinite penalty for a finite sin, the point made above to universalists applies again, but traditionalists also observe that sinners continue to be consciously punished because they continue to rebel against God or because they are not repentant, even when they are subdued. While this may answer the charge leveled against the traditional view of hell by some of its critics, that eternal conscious punishing does not fit the crime of a finite accumulation of sins committed in this life, it doesn’t serve as a challenge to conditionalism. D. A. Carson has offered the same justification for an eternity of punitive suffering, but as I’ve written before, responding to Carson in "No Penitent in Hell: A [Reformed] Response to D. A. Carson,"
the result of being punished—their punishment—will be eternal. The wicked will rise to judgment, be killed, and never live again. Since their punishment is without limit, it absorbs whatever retributive debt might be accumulated as the wicked continue to rebel during their execution … annihilation as the final, permanent, capital punishment is eternal and infinite. Like its contemporary counterpart it can serve as the penalty for any number of sins, both those committed prior to death and following resurrection, up until the moment the risen wicked breathe their last. In fact, one might argue that the most likely reason Scripture describes a single, final judgment at a point in time, rather than an eternally ongoing process by which sins committed in hell are continually judged, is because the impenitent will not be around to sin further, having been executed. (4) The goodness and love of God are not compromised by his holiness and the exercise of his justice. It is because God is eternal that our experience of his love, either as fellowship or as wrath, lasts forever (Rev 4:9, cf. Rom 14:11). Perhaps to the chagrin of many of my fellow conditionalists, I believe that the traditional view of hell, as eternally ongoing punishing, is compatible with the love, goodness and justice of God. Excepting Dr. Tiessen’s statement that one’s experience of God’s wrath is forever (for which no supporting evidence has stood up to scrutiny), I can agree with him. (5) An exegetical problem occurs when annihilationists force a chronological lapse of time into New Testament passages in order to make a distinction between passages that speak of punishment and those which speak of destruction, which would allow for a time of suffering prior to annihilation. Responding to this point is a little difficult, because the claim that we face an "exegetical problem" is not backed up; it is merely stated. And no specific texts are cited. What’s more, Dr. Tiessen mistakenly sets up a false dichotomy between "punishment" and "destruction;" namely, it is our contention that destruction is the punishment awaiting the risen wicked. But we believe that destruction may occur by means of a process which inflicts varying degrees of suffering—which requires no stretch of the imagination, since modern means of execution inflict varying degrees of suffering, and since the Lord’s execution itself spanned several agonizing hours. In fact, speaking of the atonement, again consider 1 Peter 3:18 which says, "Christ also died for sins once for all … having been put to death in the flesh." Now consider 1 Peter 2:21 in which the same author says, "Christ also suffered for you." Were Dr. Tiessen’s criticism valid, then would not all Christians face an "exegetical problem" when they "force a chronological lapse of time into New Testament passages in order to make a distinction between passages that speak of [Christ’s suffering] and those which speak of [His death]?" The reality is that the punishment Jesus bore on behalf of His people consisted in both suffering and death—a violent, painful execution. It’s no wonder, therefore, that Scripture speaks of both, not always in the same sentence, and since that’s precisely what conditionalists believe awaits the risen unsaved, one might expect to see some texts which speak of the suffering that awaits the lost, and others which speak of their death. (6) The terms translated “destroy” (apollumi, olethros, phtheiro)4 [sic] do not necessarily indicate annihilation, although it is a possibility in some instances. Even in the instances when “eternal” has a qualitative rather than a temporal sense, referring to destruction that lasts “for an age,” the age referred to is the age to come, which has no end. Like most words in biblical languages—indeed, like most words in any language—of course the semantic domains of terms translated "destroy" span multiple meanings. It does not follow, however, that they may carry any of those meanings in any given text. Context determines which meaning from among a word’s semantic domain is the meaning intended. In Matthew 10:28, for example, Jesus says, "Do not fear those who kill the body but are unable to kill the soul; but rather fear him who is able to destroy [apollymi] both soul and body in hell." Here the context is fearing God who can do what man is incapable of doing: killing the soul. And in every single instance in which the word apollymi appears in the synoptic gospels, in the active voice and describing the actions of one personal agent toward another, it means something like "slay" or "kill".14Glenn A. Peoples, "The meaning of ‘apollumi’ in the Synoptic Gospels," Rethinking Hell [blog], October 27, 2012. http://www.rethinkinghell.com/2012/10/the-meaning-of-apollumi-in-the-synoptic-gospels/ [Retrieved December 21, 2012.] Therefore, whatever the semantic range is for apollymi, in Matthew 10:28 it’s used to say God will kill the bodies and souls of the unredeemed in hell. As for the position of some conditionalists concerning the qualitative versus quantitative understandings of "eternal" (aionios), my position, as explained above, is that the word does, in fact, carry the temporal meaning of "for eternity" in Matthew 25:46 ("eternal punishment") and 2 Thessalonians 1:9 ("eternal destruction"). The nouns of actions qualified as "eternal," demonstrated by the context to refer to the outcome of their corresponding verbs, are everlasting in duration. The punishment—the ensuing lifelessness of being destroyed—lasts forever. As such, Dr. Tiessen’s criticism does not apply to most of us here at Rethinking Hell. As for those conditionalists who do suggest aionios has a qualitative meaning rather than a temporal one, they do not mean that the thing which is characterized as aionios lasts as long as an age but rather that its nature or quality is characteristic of the age to which it belongs.15Fudge, The Fire That Consumes, 36-37. That the age to come has no end would not, therefore, challenge those conditionalists who argue from this understanding of "eternal," since it would be the quality of that unending age, not its duration, which is shared by that which is described as "eternal." (7) In regard to death being “no more” (Rev 21:4), the point is that death is now outside the new heavens and new earth, thrown into the lake of fire and not a part of the creation that replaces the old creation in which death is so large a factor since sin. I will confess that I find the claim somewhat strange, even potentially self-contradictory. After all, traditionalists often outright deny the reality of death in hell, saying things like: the body that rises "dies not again;"16John Gill, A Body of Doctrinal Divinity: Or a System of Evangelical Truths (Baptist Standard Bearer, 2001), 679. "the evil ones … shall be made immortal;"17The Belgic Confession, Article 37. http://www.reformed.org/documents/BelgicConfession.html [Retrieved 21 December 2012] "Every human being ever born lives forever;"18John MacArthur, "The answer to life’s greatest question, Part 1." 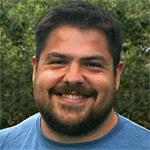 http://www.gty.org/resources/print/sermons/42-141/ [Retrieved 21 December 2012] "everybody lives forever;"19"Christopher Morgan on hell and inclusivism." Hosted by Greg Koukl. Stand to Reason [radio], June 5, 2011. http://www.strcast2.org/podcast/weekly/060511.mp3 [1:09:25] and that the unsaved "will continue living in a state with a low quality of life. "20Gary Habermas and J. P. Moreland, Immortality: The Other Side of Death (Thomas Nelson, 1992), 173. If everyone will live forever upon rising from the dead, whether covered by the blood of Christ or not, why argue that the sense in which death is rendered "no more" in Revelation 21:4 is limited to the new heavens and new earth? I don’t get it. In any case, not having access to the text which precedes the critique Dr. Tiessen is reproducing, I’m not aware of the way in which he is considering whether death’s being rendered "no more" in Revelation 21:4 is a challenge to the traditional view of hell. Besides, I don’t personally argue from this verse. However, as pointed out above, in the previous chapter John sees death and Hades thrown into the same lake of fire into which he sees the risen wicked thrown. Dr. Tiessen’s explanation, that death is constrained to outside the new heavens and new earth, can’t apply to Hades, the intermediate state. There’s a reason it’s called intermediate. Therefore, its being seen thrown into the fire is imagery communicating its end everywhere, not just in the new heavens and new earth, suggesting that the same is true of death. No wonder, then, that Paul says in 1 Corinthians 15:26 that death will be "abolished," using a Greek word meaning "to render inoperative. "21"Dictionary and Word Search for katargeō (Strong’s 2673)". Blue Letter Bible. 1996-2012. 26 Dec 2012. http:// www.blueletterbible.org/lang/lexicon/lexicon.cfm?Strongs=G2673&t=KJV If death is rendered inoperative, no one will ever die again. Traditionalists ought to be comfortable with that, since they believe everyone will live forever in hell, but of course then they have to explain why the casting of death and Hades into the lake of fire is symbolism communicating their end—their annihilation, if you will—while the casting of the risen wicked into it is symbolism for their eternal torment. Without access to the response to universalism which precedes the critique Dr. Tiessen is reproducing, I don’t know how the final victory of God is presented as a challenge to the traditional view of hell, nor the nature of Dr. Tiessen’s response to universalists who raise it. However, it’s important to recognize that this is not a philosophical argument conditionalists are making. The argument is not that a final victory in which sin no longer stains any part of God’s creation is better than a final victory in which sin has been isolated forever in hell, separate from God’s eternal kingdom. I shall quote fellow Rethinking Hell contributor, Dr. Glenn Peoples, who summarizes what the argument really is, which he calls "The Biblical Vision of Eternity:"22Glenn A. Peoples, “Why I am an annihilationist,” [PDF] p. 6. Dr. Peoples goes on, taking the proverbial gloves off:23Ibid. p. 8. Perversely, defenders of the doctrine of eternal torment have taught the opposite of Scripture here, and even worse: That not only will creation be forever divided into a stark dualism of glory and anguish, heaven and hell, but that this will actually be something that we take great pleasure in. While I have not made this argument, it’s an argument worth considering, one which I suspect is not so easily answered. I encourage the reader to hear Dr. 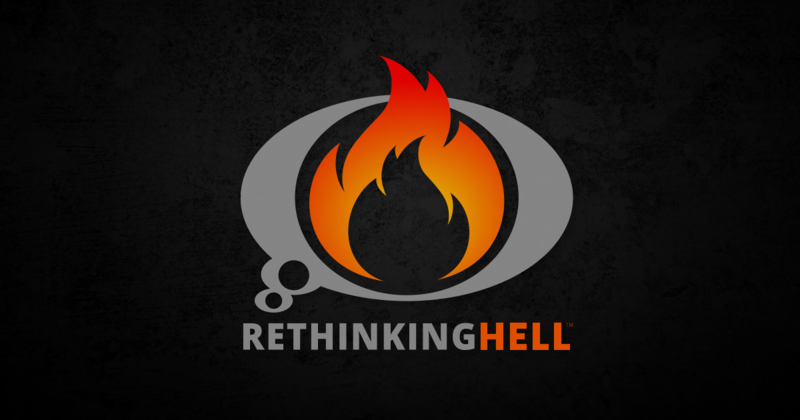 Peoples present the argument in episode 4 of the Rethinking Hell podcast. So the critique Dr. Tiessen reproduces in his blog post is not persuasive to me, either as a response to the case for annihilationism or as a case in favor of the traditional view of hell. It is not simply a kind of life which will be withheld from the unsaved; it will be life of any sort, and they will instead die. The texts Dr. Tiessen cites to support the eternal conscious punishing of the lost prove to be better support for the annihilation of the lost. Scripture speaks of the punishment Christ bore as consisting in both his suffering and his death, and if the risen wicked will likewise be violently executed, you find what you would expect when you see their punishment spoken of in terms of both their suffering and their death. And while apollymi has a semantic domain which includes meanings other than "slay" or "kill," its context in Matthew 10:28 tells us that God will execute the whole person in hell, both body and soul. That having been said, I truly admire and appreciate Dr. Tiessen for his words and attitude found in the blog post where he reproduced his critique. He is willing to commend Rethinking Hell for the quality of its content and presentation, despite our significant disagreement concerning the nature of final punishment. He is willing to consider and discuss alternatives to his reading of Scripture in light of the fact that, like all of us, he is fallible. He recognizes that as Christians we need not break fellowship over this topic, and that conditionalism is not the danger that so many traditionalists seem to think it is. If every Christian on both sides of this debate exhibited this kind of attitude, I can only imagine how fruitful the dialogue would be. Thank you, Dr. Tiessen. I hope I have been able to maintain the kind of respectful attitude in my critique that you did in your blog post. 1. ￪ Edward Fudge, The Fire That Consumes, 3rd ed. (Cascade, 2011), 263. 3. ￪ Robert A. Peterson and Edward W. Fudge, Two Views of Hell: A Biblical & Theological Dialogue (Intervarsity, 2010), Kindle Edition, 88-89. 4. ￪ H. Chadwick, Augustine of Hippo: A Life (Oxford University, 2010), 134. 5. ￪ E. Earle Ellis, “New Testament teaching on hell,” in Kent Brower and Mark Elliot (Eds. ), Eschatology in Bible and Theology: Evangelical Essays at the Dawn of a New Millennium (InterVarsity, 1999), 201. 6. ￪ Augustine, The City of God (2011-10-04), enhanced Kindle edition, 17030-17032. 7. ￪ Eldon Woodcock, Hell: An Exhaustive Look at a Burning Issue (WestBowPress, 2012), Kindle edition, 4986-4992. 8. ￪ Fudge, The Fire That Consumes, 296. 10. ￪ Fudge, The Fire That Consumes, 74. 13. ￪ G. K. Beale, “1–2 Thessalonians,” in The IVP New Testament Commentary Series (IVP Academic, 2010). 189. 15. ￪ Fudge, The Fire That Consumes, 36-37. 16. ￪ John Gill, A Body of Doctrinal Divinity: Or a System of Evangelical Truths (Baptist Standard Bearer, 2001), 679. 20. ￪ Gary Habermas and J. P. Moreland, Immortality: The Other Side of Death (Thomas Nelson, 1992), 173. 22. ￪ Glenn A. Peoples, “Why I am an annihilationist,” [PDF] p. 6. 23. ￪ Ibid. p. 8.